The Chimney Safety Institute of America has taken one of the boldest steps in the history of the Certified Dryer Exhaust Technician (or C-DET) credential by partnering with the National Air Duct Cleaners Association. The CSIA board on May 23, 2014 approved a first-ever Memorandum of Understanding (MOU) between both associations. It gives homeowners another reason to hire a CSIA certified specialist. 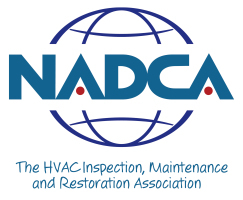 NADCA has more than 1,000 member companies with over 1,700 Air Systems Cleaning Specialists, a certification specifically for HVAC system Inspection, Cleaning and Restoration that includes any ventilation/exhaust ducts, except kitchen exhaust. NADCA’s member companies have an estimated 5,000 technicians, many of whom include Dryer Exhaust (DE) cleaning with their duct cleaning services.